2 columns. Written Area: recto 170 x 123mm, verso 152 x 150mm. Column Width: recto 53mm + 57mm, verso 54mm + 56mm. Column Height: recto 158mm, verso 152mm. Number of Lines: recto 34, verso 33. Line Height: 5mm. Column rulings in lead (rubbed out from recto). Rubrication of titles, heading, underscoring. First Lines: (recto) ...derunt ihesum qui co...en?..., (verso) omni creature alleluia? qui crediderit. 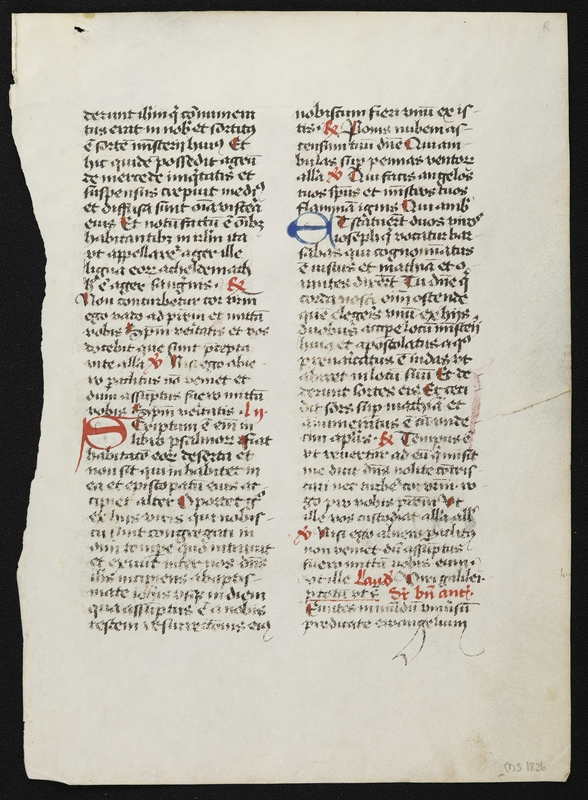 Last Lines: (recto) predicate evangelium, (verso) ...cedit et a filio quia et eius. Very Angular Gothic Minuscule. Content: Breviary: Part of the service for the period of the Feast of the Ascension of Jesus, incl. Sunday after Ascension and a lesson assigned to Bede. 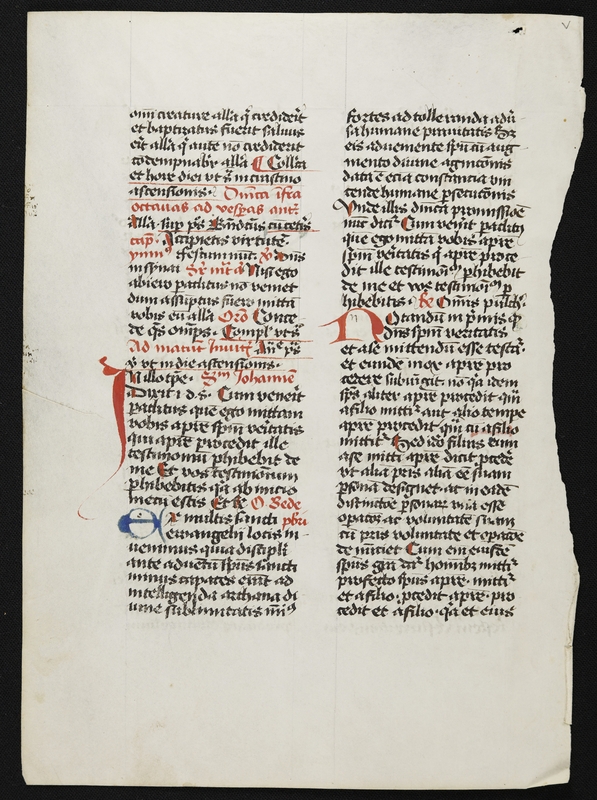 Recto col. 1, lines 21-2: Scriptum est enim in libro psalmorum... Verso col. 1 lines 6-7: ...ascensionis [In red] Dominica infra octavas ad vesperas antiphona (the instructions to the rubricator in microscopic lettering on the extreme outer margin are preserved). 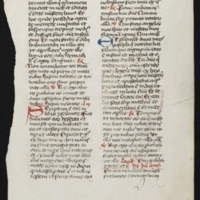 Verso col. 2 lines 32-3: procedit et a filio quia et eius. Have Rosenthal's notes ('Manuscripts from the Collection of Professor Bernhard Bischoff', p. 4 no. 12, based on Colker's notes). 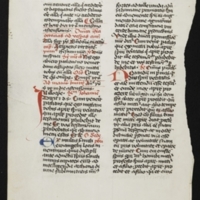 Physical Size: 1 vellum leaf (232 x 169mm).